wxPackJPG is a simple tool to losslessly compress JPG image files. It can be used to backup image files in the JPEG format. They use about 20% less space, but can be restored to bit-identical files. wxPackJPG is the GUI for the command-line tool PackJPG. There is already a DotNet-GUI called “PackJPG Options”, but this only runs on Windows and does not use more than one core. Multiplatform: Binaries for Windows 32/64 bit (with and without installers) and OS X are provided, source code is available for compilation on Linux and other Unixes. 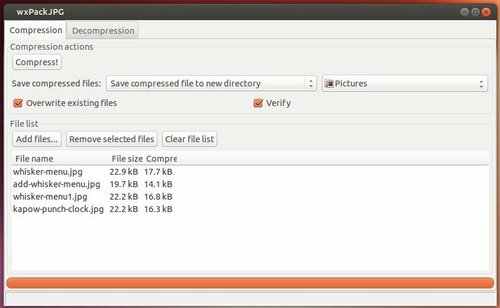 The image compression tool is available in PPA for Ubuntu 13.04 Raring, Ubuntu 12.04 Precise, Ubuntu 12.10 Quantal and their derivatives such as Linux Mint, Elementary OS, etc. For Windows and Mac OS installers, go to Sourceforge. Enjoy! I can see no use whatsoever for this. You can’t use the resulting files on websites or even view them easily. Unless you’re compressing your entire collection to save space or for archiving?? but even then, what’s the point? You’d have to uncompress it all in order to view it on another platform. 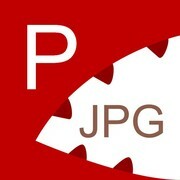 For backup or network transfer if you have a large number of JPG images.